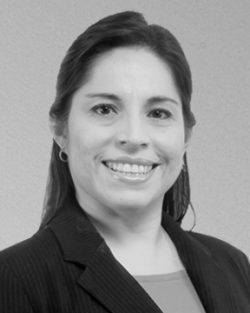 Valerie Martinez is the Manager of IAS ClaimCare® and is an integral part of the company. IAS ClaimCare® is the industry’s most comprehensive approach to facilitating claims, expediting payment, and ensuring that policyholders receive the best, most professional care available. Her responsibilities include: leading the team that serves as the initial point of contact for all clients, assisting with adjuster assignment and management of the adjustment and settlement process. Valerie has over 15 years experience in the call center industry and began as a call center agent in 1994. She quickly advanced through various call center positions including trainer, operations supervisor, call center manager and excels in communications, business ethics, quality assurance customer service and call center management. Valerie is bilingual and earned a certificate for Spanish from the Foreign Language Department at San Antonio College, where she also earned an Associates degree in Kinesiology. She also holds a Bachelor’s degree from The University of the Incarnate Word in Business Administration and Management.